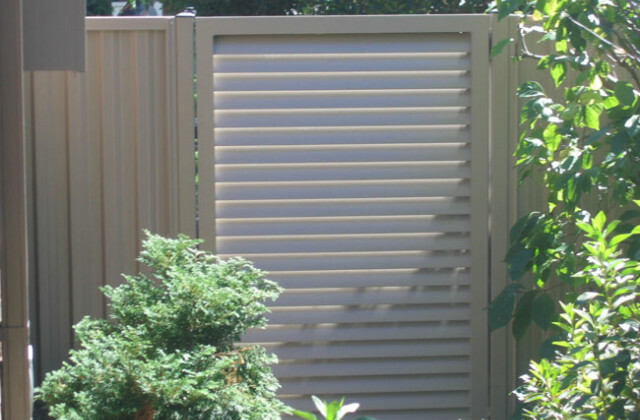 Privacy screens are available in various materials and designs. 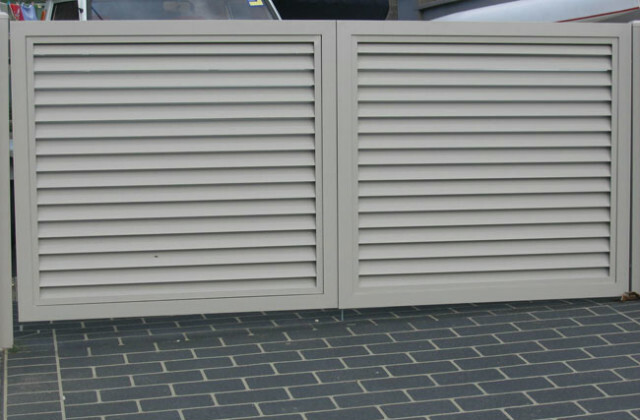 Our new mini louvre range of 40mm and 70mm aluminium interior and exterior louvres and shutters are the alternative option to old-fashioned painted timber louvres.  They are strong and suited to the harsh Australian environment and are available in anodised or powder-coated finishes. 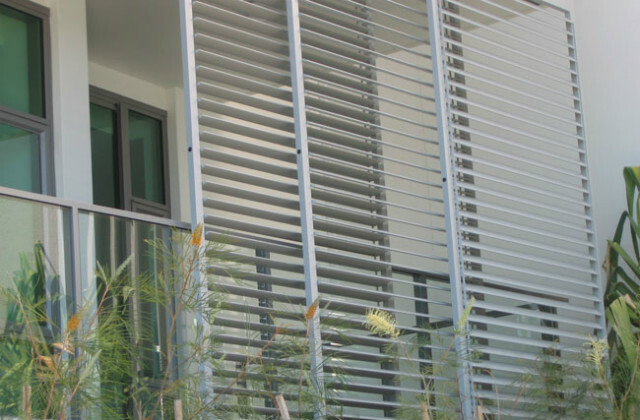 Privacy and Shade: Sliding 70mm adjustable mini-louvre window shutters can be opened, closed or stacked away. Cavity Sliders: Full height cavity sliders incorporating 70mm adjustable mini-louvres provide perfect control day or night. Shutters: Top hung 70mm adjustable mini-louvre shutters providing light control, ventilation, privacy and security. A modern product, functioning perfectly within traditional kauri double hung windows. Wardrobe Doors: 40mm sliding wardrobe doors with blades in a fixed position. Vertical Lift Panels: Motorised 120 Airfoils in mechanically operated vertically lifting shutters. Pivot Doors: End fixed 120 Airfoils in all aluminium pivoting frames. Overhead sun control, privacy and unmatched security when closed. Sliding Doors: Triple stacking End Fixed 180 Airfoil cavity sliders are combined here with conventional glass sliders. Total privacy or total view.